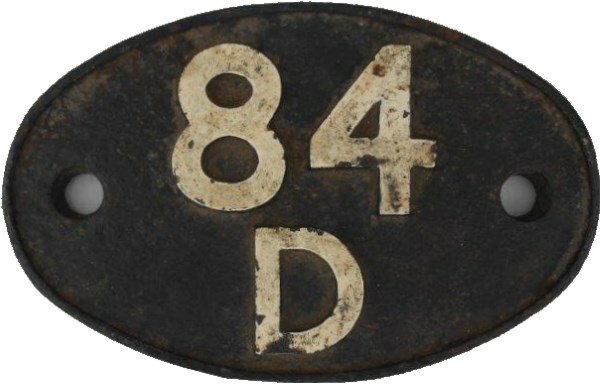 Lot 46 C/I SHEDPLATE "84D LEAMINGTON". As carried by GWR SAINT Class No 2933 "BIBURY COURT" painted on the rear. Ex Loco condition.